Red bell pepper: Besides being rich in vitamins (A, B6 and C), it contains carotenoids, plant pigments with antioxidant properties that play an important role in cancer prevention. Green onion: It contains different phytochemical compounds, including flavonoids, which are antioxidants that help neutralize free radicals that damage the cells in our bodies. 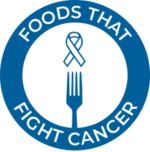 It also contains sulphur compounds, which may have a protective effect against some cancers, primarily cancers of the digestive system. Cook the chanterelles and peppers over high heat, taking care to keep them firm and not to overcook. Use the enokis raw. 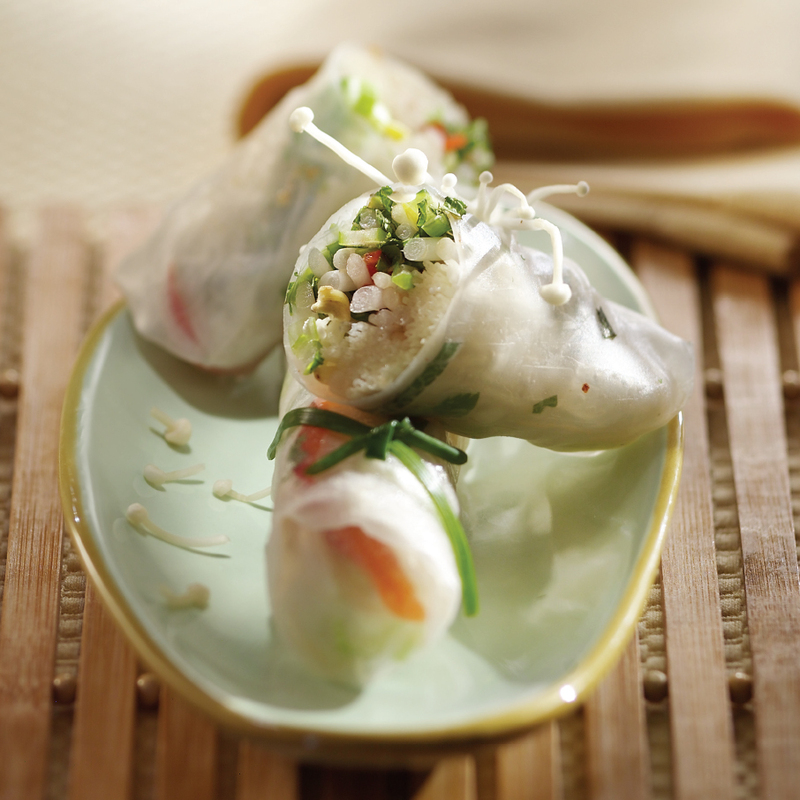 In a bowl, mix all other ingredients, except the rice paper and chives, and let rest at room temperature for 30 minutes. Soak the sheets of rice paper in a large bowl of warm water for approximately 1 minute to soften them. Spread the sheets on a work surface and blot them well. Put a small amount of filling in the middle of each sheet, fold in the sides and roll it tightly. Secure each roll with a strand of chive.